HEART, BABY! 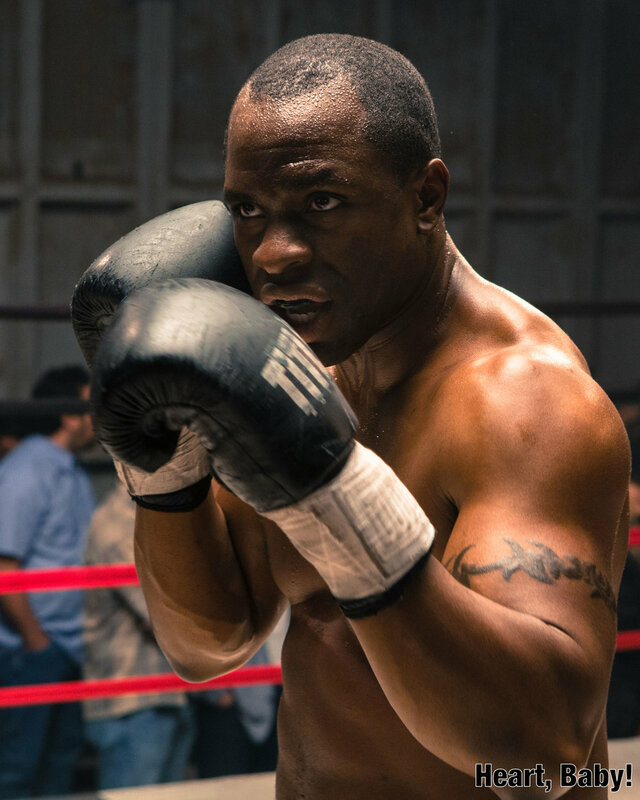 starring Gbenga Akinnagbe — HEART, BABY! In his career, Gbenga has enjoyed much success in studio feature films such as the Oscar nominated film “The Savages” directed by Tamara Jenkins with Philip Seymour Hoffman, Laura Linney, and Philip Bosco. He appeared in the Tony Scott directed remake of “The Taking of Pelham 1 2 3” with Denzel Washington and John Travolta. On the independent film front, Gbenga has appeared in a such greats as “Home” directed by Jono Oliver, the Joe Hahn directed “Mall” with Cameron Monaghan, Peter Stormare, James Frecheville and Vincent D’Onofrio, as well as a great supporting role in Claudia Meyers’ “Fort Bliss” with Michelle Monaghan, Emmanuelle Chriqui, and Ron Livingston. A veteran of the stage, during the summer of 2006, Akinnagbe performed the role of “Zim” in the NYC Fringe Festival’s “Outstanding Play” award-winning production of Modern Missionary. In 2010, Akinnagbe starred in the world premiere one-man show “The Thin Place” at The Intiman Theatre in Seattle, where he masterfully portrayed 11 different characters in crisis which garnered him rave reviews. Gbenga produced “Newlyweeds” which premiered at Sundance in 2013 and was acquired for distribution by Phase 4. His latest film, a dramatic character piece “Knucklehead” premiered in March 2015 to a sold out audience at BAM’s New Black Voices film festival. In 2012 Gbenga gave a popular TED Talk about Stop and Frisk. Gbenga frequently contributes to The New York Times, having had many topically varied articles published in recent years. One article detailed a Himalayan climbing trip in Nepal, another speaking to his experience with the sport of wrestling and how it kept him out of trouble as a youth, and the other outlining the medical procedures he underwent to correct his severely flat feet. Gbenga can often be seen as a frequent guest on Huff Post Live and Al Jazeera where he speaks on social justice issues. Most recently he launched, “Liberated People”, an eco-friendly socially conscious lifestyle brand, which works with nonprofits around the world. – www.weareliberated.com. Gbenga lives in NYC and is now acting on Broadway in the hit show To Kill A Mockingbird.